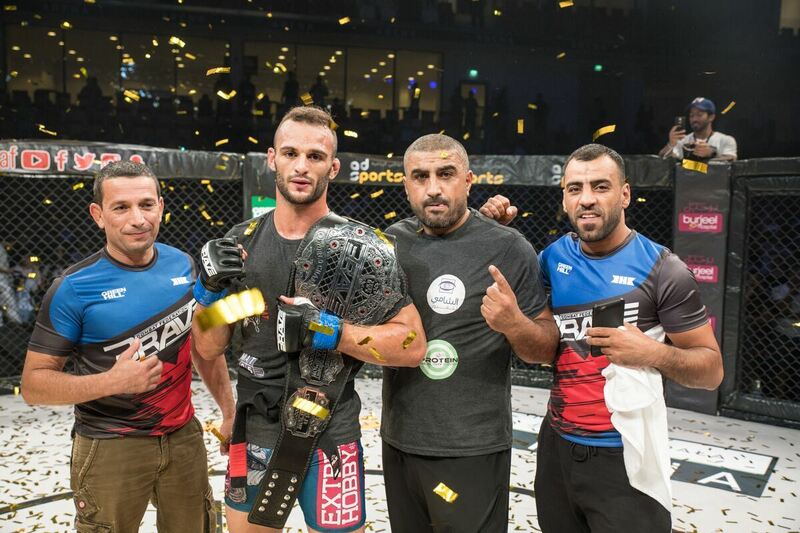 Newly-crowned Brave welterweight champion, Jarrah Al-Selawe has made history by becoming the first Jordanian fighter to hold a world title in MMA. His head coach believes that he could have the same impact for the sport in the Middle East as some of the biggest pioneers in MMA history, such as Anderson Silva, Rodrigo Minotauro and Wanderlei Silva. As a native brazilian, Samy Al-Jamal was there to witness the change from vale tudo to MMA and identifies the same qualities in his star pupil that could make his win over Carlston Harris at Brave 16 a turning point in the Middle East MMA scene. “There are great fighters in Middle East and in Jordan. We could talk about Jalal Al Daaja or Abdul-Kareem Al-Selwady. But I feel, from a technical standpoint, Jarrah is in front of all athletes from the Middle East. He’s got a very well-rounded game for MMA, he’s naturally strong for his weight class and his evolution is crazy. Outside of the gym, he’s an example, someone with a great heart. And I think that’s his role, that of a pioneer, someone that’s going to take the sport to a different level, he’s doing something that guys like Rodrigo Minotauro, Wanderlei Silva, and Anderson Silva have done in Brazil, I truly believe that”, says Al-Jamal, who talked about the strategy behind the surprising first-round KO win over Harris. “We knew that Harris had never been finished in his pro career so we had a strategy for five round and each round had its plans B and C. We wanted to make sure we found the distance early on so he could unload whenever Carlston slowed down. He comes from a camp I respect very much at RFT so we knew he was tough and would be looking for takedowns, but we worked very hard on defensive wrestling so Jarrah felt confident in his stand-up and was able to catch Harris coming in”, explains Jordan’s first MMA coach.